The modern city can be described as a never-ending attempt to deal with the other by rendering him/her as the neighbour. The notion of the neighbor signifies coexistence and alienation, love and hate, similarity and otherness. This word is critically overused in the official discourses of nation-state governments, which deploy it as a metaphor without taking into account its inherent ambiguity. Neighbours is also the title of a book that was used this year as grounds for approving a controversial law in Poland, prompting outbursts of antisemitism and anti-Ukrainian sentiments. Like the inhabitants of other Polish cities, more and more Varsovians are discovering that their next door neighbours are Ukrainian. Or, for that matter, Belarusian, Moldovan, Russian, Georgian, or Uzbek. The growing influx of migrants from beyond the eastern border means that, for the first time since the end of World War II, Poland is ceasing to be a mono-ethnic state. The tenth edition of WARSAW UNDER CONSTRUCTION responds to this situation by rupturing the logic of the festival in a way that reflects the changes taking place in Polish society. Instead of talking about the growing community of migrants from east of the border through the objectifying, aloof medium of artistic representation, the festival is being taken over by a group of newcomers from Ukraine (just as, in the imaginations of some of the public, migrants from this country are now “taking over” jobs, institutions and neighbourhoods in many Polish cities). The surge of migration from Ukraine to Poland is not ocurring on a one-way street. It is profoundly changing the economic, political and social realities of both countries. This year’s edition of the festival therefore straddles the two Eastern European capitals that embarked on two strikingly different paths of development after 1991. 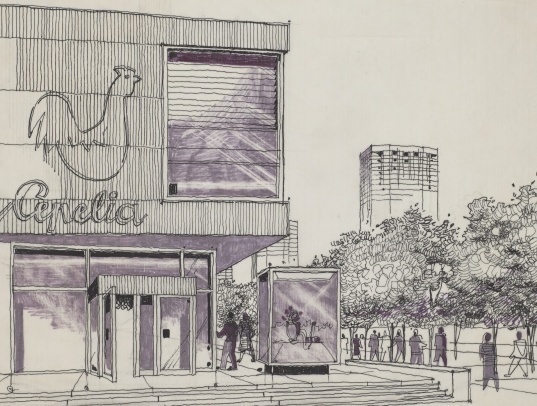 In Warsaw, the “Neighbours” exhibition, curated by the Kyiv collective Visual Culture Research Center, will take place in the modernist, post-war structure known as the Cepelia pavilion. The original building housed a public institution aimed at cultivating a new model of Polish national identity. In the decades following the dissolution of the Warsaw Pact, this venue served, symbolically enough, as a gaming parlor. In Kyiv, the festival will be held in an area that is one of the most striking products of the social and urban collapse of the 1990s. Once a lively route connecting downtown Kyiv to the Upper City, Petrivska Avenue in central Kyiv has become a no-man’s-land following a series of geological and social disasters. 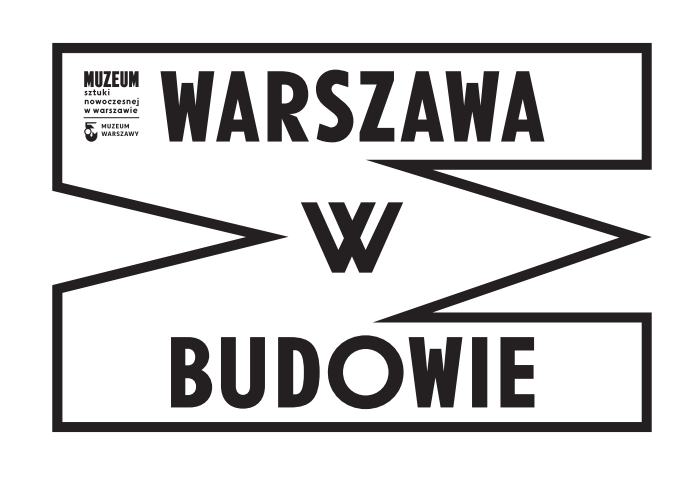 The two cities where the Neighbours project unfolds will converge in Warsaw at the exhibition space in Cepelia. A number of works on display at the exhibition will deal with the many ways in which the notion of architecture, and the position of its creators, is being transformed by local and transnational market mechanisms, and by past and present political ideologies. In this project, the idea of “neighbours” is envisaged in a state of constant flux, precarity and transformation, rather than permanent, stable co-existence. This opens up a perspective on the ongoing flows of migration in European сities and beyond, often misleadingly described as the “migrant crisis.” Special attention is given to the ideological battle that is emerging in the public space of the city, exposing the new rise of ethnic hostility and attempts to establish a right-wing monopoly on history. “Neighbours” is a gender-neutral term in English, while the Polish word “sąsiedzi” has a masculine form and therefore is a linguistic manifestation of male power, a symbolic way of introducing the underrepresented, invisible involvement of women in the processes of shaping and using urban spaces, with a special focus on the gendered labor performed by female migrants from east of the Polish border. Participating Artists: Babi Badalov, Oksana Briukhovetska, Oleksandr Burlaka, Oleksiy Bykov, Davyd Chychkan, Phil Collins, Kseniya Hnylytska, Nikita Kadan, Taras Kamennoy, Gal Kirn & Fokus Grupa, Dana Kosmina, Marginal Act, Marina Naprushkina, Valentyna Petrova, Aleka Polis, Serhiy Popov and Mykola Ridnyi, Oliver Ressler, Santiago Sierra, Anna Sorokovaya, Hito Steyerl, Łukasz Surowiec, in collaboration with Marta Romankiv & Oleksandra Ovsyannikova, TV Kryzys, Piotr Wysocki, Alina Yakubenko, Florian Yuriev, and Artur Żmijewski. Curators: Visual Culture Research Centre. The WARSAW UNDER CONSTRUCTION 10 Festival is co-organized by the Museum of Modern Art in Warsaw and the Museum of Warsaw. The project owes to the funding from the Capital City of Warsaw. More information: https://wwb10.artmuseum.pl/en.